Firm: Wolf and Sultan P.C. EXPERIENCE: Twenty-two (22) years practicing exclusively in the area of U.S. Immigration and Nationality Law. SPECIALTY: Priority workers, intra-company transfers, outstanding researchers, national interest waivers, labor certifications, corporate compliance, employer sanctions defense, family-based immigration issues, naturalization issues, immigration appellate and judicial review issues. PROFESSIONAL ACHIEVEMENT: Has written and lectured extensively on immigration and other law, both in Arizona and nationally. 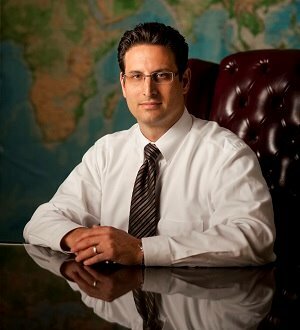 Selected Tucson Immigration Lawyer of the Year 2012. Has been listed in the Best Lawyers of America since 1999, listed in top 5% immigration lawyers by Super Lawyers, rated “Superb” by Avvo, listed in Bar Register of Preeminent Lawyers, and listed as “AV Rated Attorney” by Martindale-Hubbell for having the highest rating in Legal Ability and Ethical Standards. Martindale-Hubbell Legal Directory rating "AV"